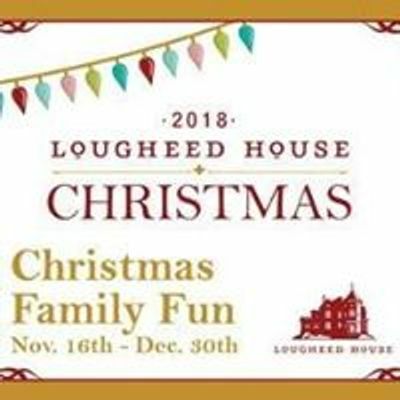 Celebrate International Women’s Day at Lougheed House. 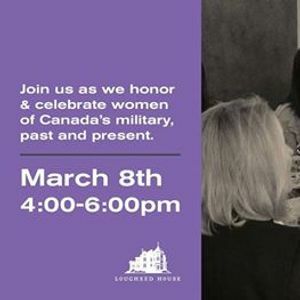 We're hosting one of our famous ladies' teas with a special focus: Honoring and celebrating the contributions of Canadian women in the military over the past century. 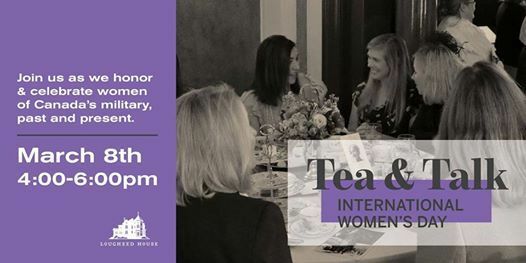 Along with enjoying a beautifully prepared afternoon tea service (egg-salad sandwiches, cucumber-mint tea sandwiches, pear and cheese, petit fours and specialty Earl Grey tea) provided by The Restaurant at Lougheed House, you and your friends will be treated to inspiring tales of Canadian women in service from both a historical and contemporary perspective.